Looking for More Retirement Options? Take a Look at Self-Directed IRAs. Looking for More Promising Retirement Options? Take a Look at the Little-Known Self-Directed IRA. Many investors don’t realize that they’re not limited to stocks, bonds, and mutual funds for retirement investing. Susan and Dale of New York are a great example. They were under the impression that traditional retirement savings required investment in often-volatile markets. That was until they began to research alternatives. “To my surprise, I discovered there are many non-traditional assets available to us,” Susan says. The couple knew of real estate and royalties as options, but weren’t aware of the possibilities afforded by a self-directed IRA. Traditional IRAs (Individual Retirement Accounts) are well-known. In essence, they serve as restricted savings accounts. Regular contributions from both the IRA holder and, in many cases, that individual’s employer are funneled into a stock and mutual fund investment portfolio curated by a financial institution. The returns on that account fund retirement. Self-directed IRAs, however, offer more flexibility. Holders have the power over their own investments in these accounts, allowing them to choose where to put their money. And these investments go beyond stocks, bonds, and mutual funds; Susan and Dale, for instance, invested in promissory notes (or the repayment of others’ debts for a return of predetermined interest). Other potential investments include tax liens, private entities, and precious metals. Those in alternative asset industries like real estate are quickly taking to the self-directed IRA option, too. Real estate investor Lowell of California learned about the concept in 2013 and decided to transfer his 403(b) account into a self-directed IRA. He used his account to acquire a bank-owned property for just over $85,000. That property provided rental income for two years, before generating nearly 77-percent return on his investment when he decided to sell the property. As a real estate investor, Lowell prefers the idea of using his retirement account over borrowing to fund his investments. Why? In many cases, alternative assets are seen to be more stable than Wall Street stock. In an age where information on investing is at our fingertips—and self-education is the norm—it’s little wonder the self-directed IRA is becoming popular. If you’re interested in a non-traditional savings plan with ample flexibility and more control, it’s worth serious consideration. Given these returns, it would seem that self-directed IRAs are better than traditional investment options. But are they? As with most investment options, it depends. 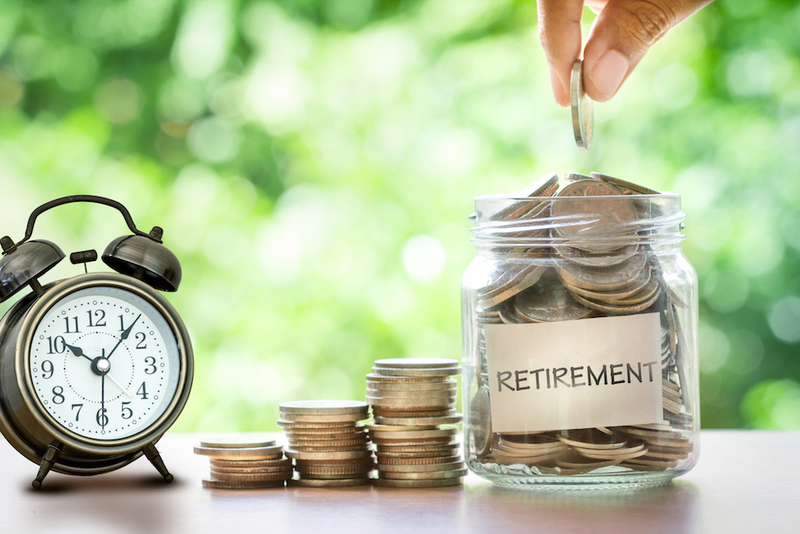 Investors can use self-directed qualified retirement accounts to invest in a variety of assets, as mentioned above, in addition to stocks and bonds. That’s a huge plus, opening up opportunities for diversified investment. But while putting your retirement eggs in one basket is never advisable, neither is spreading your investments too thin. And without the advice of financial experts, it’s easy to get caught in bad real estate decisions or promissory note investments with no return because the debtor ultimately defaults. Still, there are advantages that are worth nothing: Tax-free or tax-deferred growth within the account is possible, depending on the type of account you open; and holders have the option to pair their own self-directed IRAs with other self-directed retirement accounts. What’s the advantage here? Let’s return to Susan and Dale. The couple originally thought they didn’t have enough cash to open a self-directed IRA until they learned they could combine their account with other family accounts. With this combined financial leverage, Susan and Dale were able to offer a significant loan (generating a promissory note) to a real estate investor to complete a rehabilitation project. Over the course of 14 months, that one promissory note yielded a return of over $42,000—a near 25-percent ROI. Naturally, Susan and Dale had to split that return among the combined accounts (according to the percentage loaned from each), but the result was still well worth the investment. Open an account with a reputable financial institution and fund with an out-of-pocket contribution. Assuming you or your spouse earned taxable compensation for the year, you can make a contribution to your qualified retirement account from your personal checking or savings account, or by credit card. Many financial institutions offer this; Equity Trust, however, is a good place to start. Whatever institution you choose, do your research and know what kind of self-directed IRA account you want, how much you/your employer can contribute, and how you’d like to invest. Move funds or assets from an existing qualified retirement account to a new qualified retirement account. The funds or assets are transferred directly from your current financial institution to the self-directed custodian. Complete a rollover, which involves moving funds from a qualified plan, such as a 401(k), 403(b), Thrift Savings Plan, or other qualified plan, to an IRA. A rollover typically occurs when you receive a personal distribution from your previous employer or the current provider of your plan and deposit it into the new account. Consult with your financial professional to determine if a rollover is a possibility. Looking for Expert Wealth Advice? Subscribe to ETR's Wealth Confidential Newsletter—your key to wealth, delivered to your inbox every month.